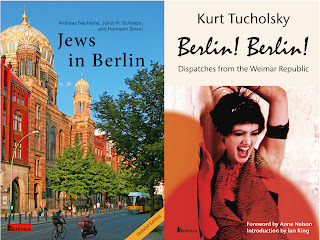 Yesterday, I got the first, brand-new copies of our newest book, Jews in Berlin—186 copies, to be exact. I ordered 100, and the printer decided to send twice the amount (a small glitch in the automated setup, well, what can you do). UPS was supposed to deliver them in 16 boxes. I got 15 boxes, but that is more than enough. I live in a tiny, tiny studio in the middle of Manhattan. Today, box number 16 came. Also, Berlin Partners sent me two boxes with post cards, pens, maps, posters, and more, from Berlin. 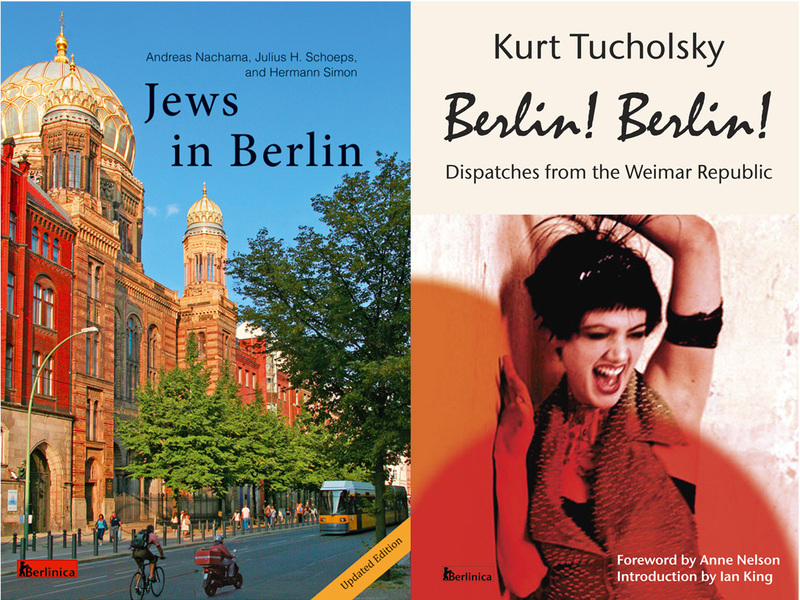 I will distribute them all at our presentation of Jews in Berlin, together with Kurt Tucholsky's Berlin! Berlin! at the Leo Baeck Institute at 15 W 16th St.. I hope to see you all there, because otherwise I need to find a new place to live.